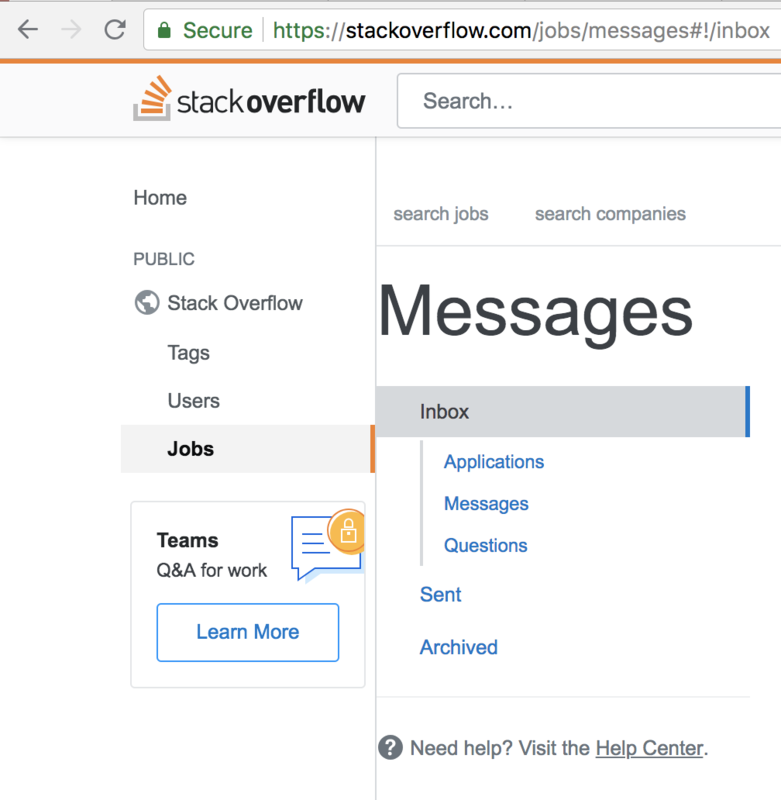 Just noticed a styling bug on SO job messages inbox app. It appears that the 'Messages' sidebar container is missing a left margin and/or padding. This is only happening with window width of 980px and greater. 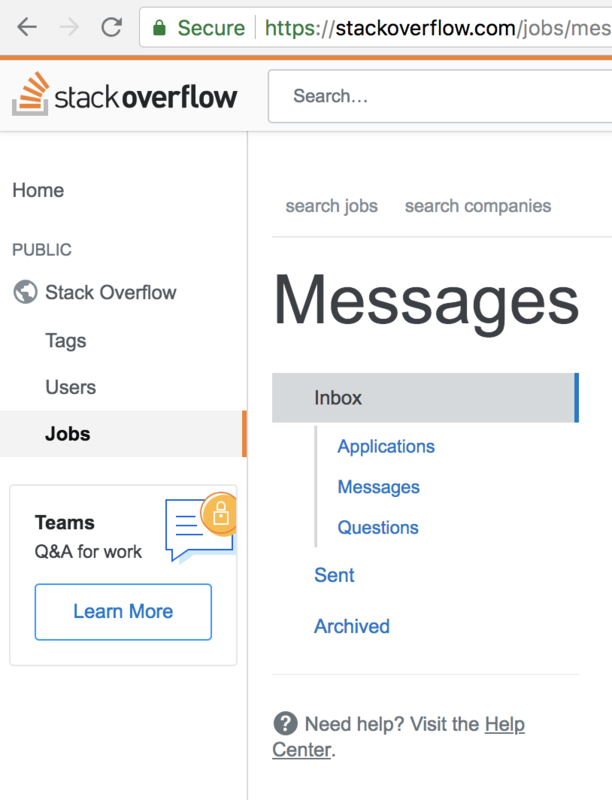 Browse other questions tagged bug design jobs-messages .